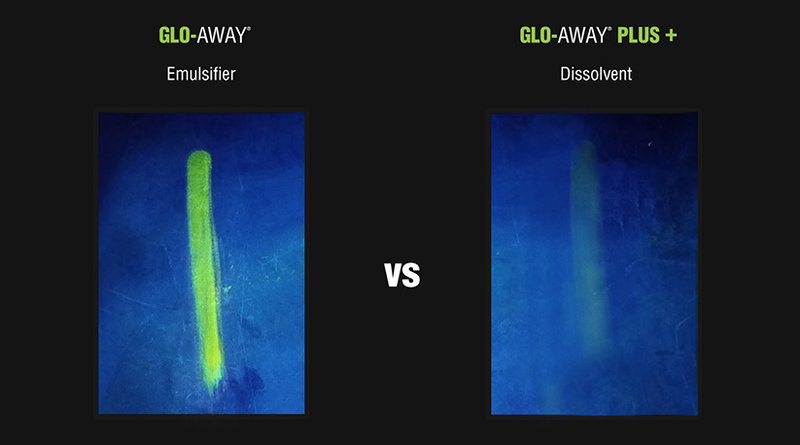 GLO-AWAY® PLUS is specially formulated to remove fluorescent leak detection dye within seconds. The cleaner removes all traces of dye from any surface area and helps the technician to finish repairs fast, without the hassle of spending time trying to remove dye. 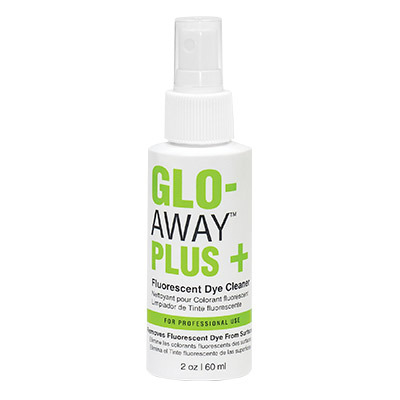 Stronger formula makes it easier to remove the toughest dye stains.